iMobie Support team share their tips on how to transfer App from iTouch to iPhone 5. 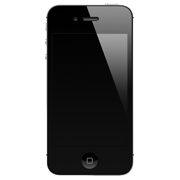 Read on to find a simple and instant solution about App from iTouch to iPhone 5. I has many Apps on my old iPod touch but I'm wondering if I can transfer App from iTouch to iPhone 5 along with my current Apps. Or can I transfer App from iTouch 1 onto my current iTunes? By transferring Apps among multiple devices, you will keep the iPhone 5 containing the most desirable App perfectly. 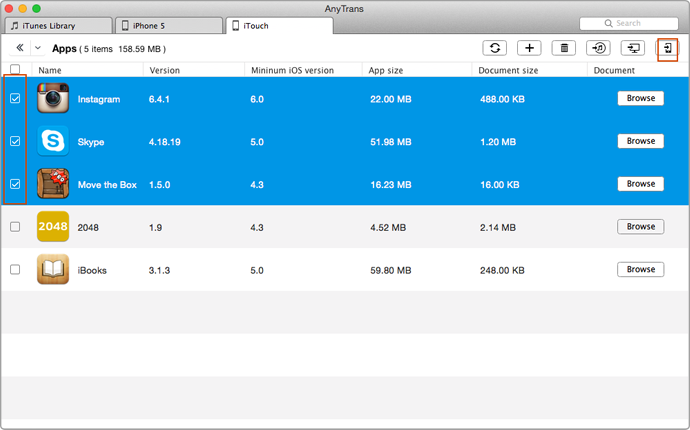 This iMobie Guide page will show you an easy way to transfer App from iTouch to iPhone 5. AnyTrans can always work through annoying iTunes limits, to transfer App from iTouch to iPhone 5 is just one example. 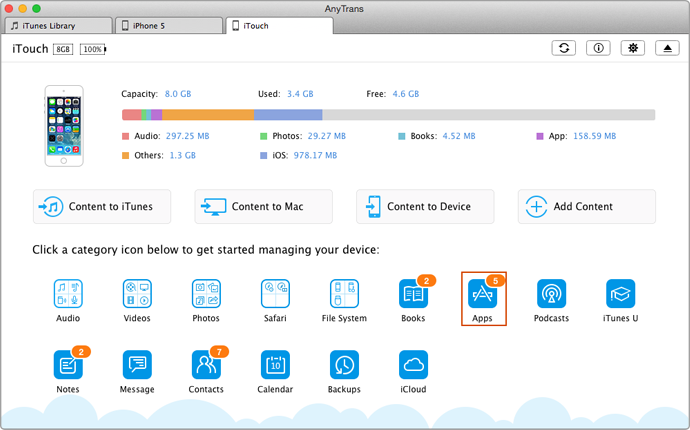 AnyTrans is the ideal App Transfer application for both naive and experienced users. Below are 1-2-3 steps that show you how to transfer files over multiple Apple devices. How to Transfer App from iTouch to iPhone 5? Click on "Apps" to enter the manage page. Highlight the App files you choosed and click To Device option (Shortcut: Right click the mouse and select To Device). Then you can leave it alone and AnyTrans will auto transfer App from iTouch 1 to iPhone 5.